I am not Sanjay Sabarwal, co-owner of Ziba Beauty. I am not a lawyer. I am not a promoter. I am not a double major from UCLA. I am not a columnist. I am not a former volunteer at the Lexington Juvenile detention center in Kentucky. I am not a past political intern. NCTE) I am not a stroke victim. I am not familiar with cancer. I am not, I am not, I am not any of these facts. All my life, even at this moment, I have believed I was destined to be something greater; more significant, a personality. Focusing only on my desires and wants, I forgot how to be. Spending energy (and credit cards) to showcase a life imagined by many but afforded by few, I drowned my soul painfully. Surrounded by many gadgets and the must of my dog (her dog), I became empty, a negative, a compilations of could be’s, would be’s, should-be’s, would’ve’s. So who am I? Perhaps that’s not as an interesting a question as what I am. I am part of a love that I did not think possible, that I had heard of and seen in fiction. After 4 years, her face is still the first image projected onto my thoughts. Her eyes an amazing greenish-yellow, rivaling those of cats (domestic and otherwise), her temper and stubbornness exasperating but befitting the queen she has the potential to be. Then there is my family, my energy trough where I go to replenish myself. I draw my strength from them like a greedy gambler who can’t get enough. I steal their inspiration and good wishes so I can face the cannot’s and will not’s in my life. I use their love and faith in me to see myself. It is then I become Sanjay Sabarwal. The flick flack flickers of my dreams woke me today. I tried to grasp onto their meanings but for a moment just marveled at how deep my sleep was. It was as if I had not slept before. The kind of dreamless dream-filled sleep where flashes of faces and thoughts drain out of your mind as you try to grasp what exactly your brain was doing. You want to believe it was just a thoughts dump because some of the faces represented the anxieties of my world but also regret perhaps you were meant to remember but somehow failed. The images of talking to Preeti’s dad evoked my dread of the long-awaited conversation of what next? Flash of Gurjit crying reminded me of Tejpal’s as well as the death of the normalcy of my life and of the challenges ahead. Still I dived in these murky as my heartbeat slowed, well aware that the heat of the blankets told of an intense and long sleep. The room become brighter as if to mark my awareness. No longer did I want to ignore the idea that I was awake, instead I fished for more. I marveled that I only had one drink yesterday yet told everyone I had two. Why? I wondered. What was it about being in certain crowds that made you want to be an overachiever in an activity designed to kill brain cells? What was it about social discomfort that made me want to grasp to the one liquid that could return me back to feeling like everything was ok temporarily. How was it different from my dreams? Then it hit me. While I thought about last night, the dreams had made their escape. It was as if I had been purposefully distracted so they could go to their secret hiding place. My breathing slowed, the blankets cooled, I reached for my phone to get my daily Twitter and Words with Friends fix and the dreams went further away and suddenly the urge to write feels silly and trite. I am left holding simplistic words and thoughts rather than the deep implications my dreams carried. Conned, once again by my mind, I reluctantly came to my page and had nothing to offer except the memory of my dreams gone. I closed my eyes, and nothing came save for the feeling of betrayal I caused myself. Subject: Quote of the day! If a man speaks or acts with a pure thought, happiness follows him, like a shadow that never leaves him”. “Our mission is to become the respected expert and global leader in the Art of Threading® and the Art of Mehndi®”. Sitting in the car, the religious text started without me. Let me rephrase, it started playing the 540 years or old words but I was lost in the marvel that I actually was hearinng music of my choice after almost 2 years in my car. A brief shake of the head, and I began to focus on the language I didn’t understand (and perhaps never would). For a brief moment, I wondered who wa s I kidding myself but the singular string in the background of the track somehow resonated, and I caught myself trying to speak the words along side. There weren’t many I could repeat but I used an immediate substitute: Waheguru. At first, I felt foolish, fake and forgetful. But I continued replacing my ignorance with what I knew. In that moment, I was one with Him. My Old lover came back. I betrayed her without a though, used her until I was satisfied, raped her of all meaning, but now I needed her help. I sat in the car with just her repeated one word: Waheguru. The music changed through the tracks but the word stayed the same. Wah Guru (wow, God). That’s it. He had come in Her shape from my past. Music was my true love and passion and I had disrobed and discarded her useless a long time ago or so I thought. Now She came to fill my soul up to the brim. Nothing else entered, a first in over 2 decades. Just me and the Word in the car, speeding along over 80 miles an hour, devouring the pavement the same way I used to the thousands of songs in my library. Waheguru. In the noise surrounding my world, but in the quiet of the car, only one word was my companion, one my word my lover, one word my savior. There I stand stoically ready to face the world,mute but capable, deaf but open to the world. Many of my dreams sacrificed to the dullness of meaningless days. Future goals set aside for empty gratification, my life resembled nothing like I imagined it would. No longer. 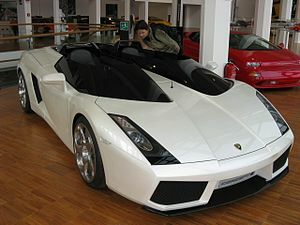 The 2 that stood out to me right away (besides the Lamborghini) were about publishing fiction and my memoir. I am proud to say that I have started those 2 life goals, and for once I had written something that wouldn’t just be a mute witness to my aimless wandering. No longer would my passion be a lone soldier in the battlefield of dreams. I was finally on a mission that made sense and made me feel that for once I wasnt a slave to words that just burst out of me for no reason, but the master of my life. That wasnt the only thing to celebrate, I was also closer to other goals as well (including marriage, the library, and the kids) yet it was telling that I had done nothing to become a gourmet chef. I love to cook but I hardly ever do it anymore, and the tons of dust-covered books in my kitchen are telling me that perhaps that’s a goal I will get to when I get to the ones I really want to achieve. I had also changed on life goal, from becoming a MBA to doing my MFA (Masters in Fine Arts) with an emphasis on creative writing. Nothing like reading something from your past to know that for once your on track. No longer a lone soldier but a fighter for the things that matter most. You cannot bring what you want to you if you are feeling stress. Stress or any tension at all is something you have to remove from your system. You must let the stress go- it is the only way you can bring what you want. The emotion of stress is saying strongly that you do NOT have what you want. Stress or tension is the absence of faith, and so to remove it all you have to do is increase your faith!